Attention to breeding birds in public and private collections, along with increased legal protection, has helped a great many species to recover from earlier population crashes. In some instances, rescue efforts represent the only hope for a species, as none survive in the wild. However, upon reviewing species status reports recently, I was dismayed to see that bad as opposed to good news prevailed. From well known pet trade parrots to recently described Asian swallows, wild birds everywhere face grave threats. Of the world’s 9,685 described bird species, 1,227, or 12.4%, are included on the IUCN’s Red List as threatened with extinction. Of these, 192 species are considered to be critically endangered, and likely to become extinct in the near future. An additional 838 bird species are classified as “near threatened”. Since the year 1500, 133 species of birds have become extinct. Currently, 4 species exist only in captivity, and 15 species have not been observed despite surveys and may be extinct as well. Since the year 2000, at least I species, Hawaii’s po’ouli, has become extinct and at least 2 species – Spix’s macaw and the Hawaiian crow – have become extinct in the wild. 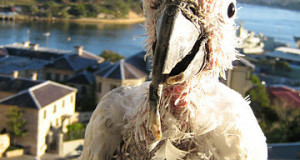 Indo-Malayan birds, Asian vultures and albatrosses face particularly hard times, with many species in severe decline. Brazil and Indonesia lead the world in the numbers of resident threatened species, with 123 and 114 respectively. 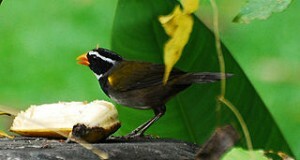 Eighty seven percent of all threatened birds reside in forests. Tropical and subtropical lowland forests support 43% of all such species; 36% reside in moist montane forests. Converting land to agricultural use is seen as the most critical threat to bird life, with 73% of all species being significantly affected. Logging and trapping/hunting impact 71% of all birds and, along with agriculture, are the main reasons behind the decline of 95% of threatened species worldwide. Introduced species of birds, mammals, invertebrates, reptiles and plants significantly affect one third of the world’s threatened bird species via predation, competition, habitat alteration or the spreading of disease. You can read more about bird declines, the effect they may have and what can be done to help at http://www.biodiversityinfo.org/sowb/section.php?r=introduction. 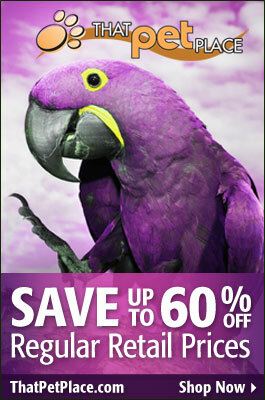 The Best Way to Prevent Feather-Plucking – Make Your Parrot Work!